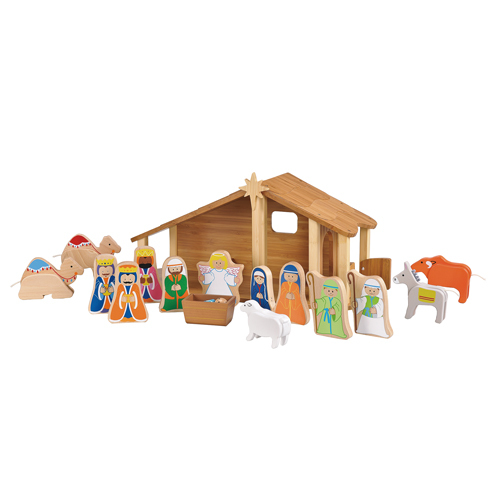 This deluxe nativity playset is fun for around Christmas time, or anytime! 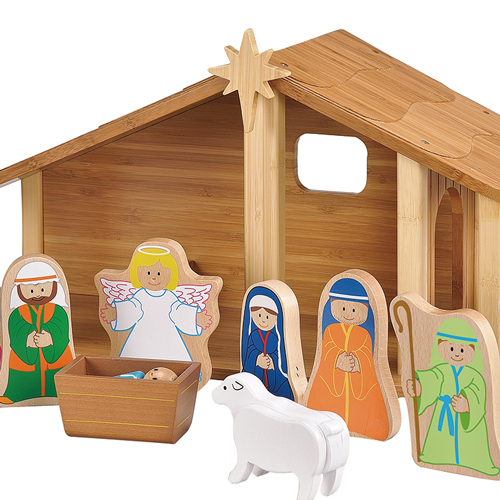 This set has been crafted from sustainable bamboo, and painted with non-toxic water based paints. 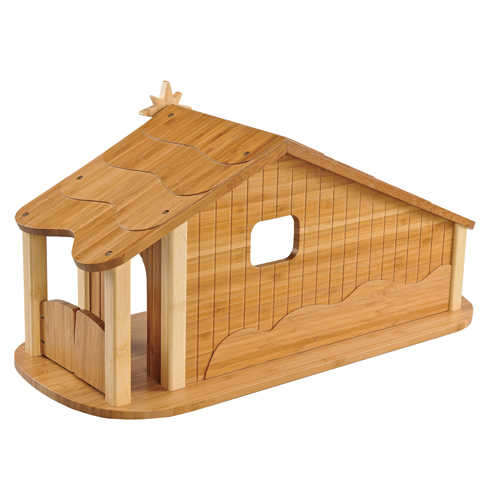 Comes with 15 figurines, barn and manger. 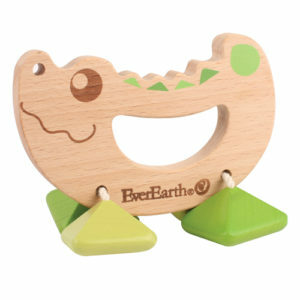 Our EverEarth™ line of toys was created keeping not only the safety of our earth in mind but also the safety of our children. 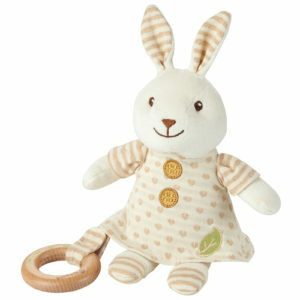 The EverEarth™ line is eco-friendly and manufactured with materials supplied from nurseries that are FSC certified. The FSC (Forest Stewardship Council) is an international organization that brings people together to find solutions that promote responsible stewardship of the world’s forests. 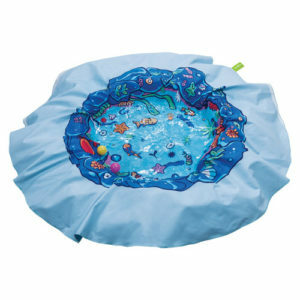 Encourages the natural sense of wonder and amazement a child can feel when stimulated by this kind of play. 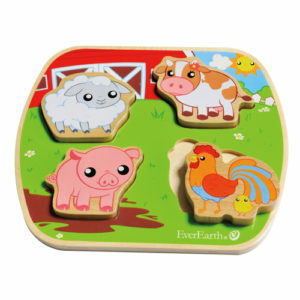 Teaches that learning can be fun!